New feature could allow users to communicate directly with businesses using the app. Customer service functionality will soon be coming to WhatsApp allowing users to communicate with businesses in much the same way that they already do via Facebook Messenger and Twitter. The company has finally revealed just how it will be adding customer service support to its popular chat app after a year of outlining its plan. A green check badge will appear next to a contact name which will indicate that the account belongs to a business. Once a user starts a conversation with a business, all of the messages will appear in yellow so that these chats can stand out from those with regular WhatsApp users. This new feature is currently in beta and is being tested by a small number of businesses through a pilot program. 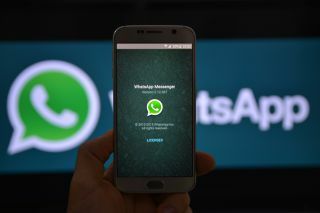 However, it will likely launch relatively soon to help WhatsApp stay relevant and remain competitive with other messaging platforms. So far this is the company's first attempt at monetising its business and WhatsApp's CEO Jan Koum has made it clear that businesses and not its users will be charged for this added functionality. Currently the messaging app has a billion users that Koum hopes will one day be using the service to communicate with banks, airlines and other businesses to solve their problems.